Moving day is stressful in itself, and remembering every last detail can be a near-impossible task. The average American moves about 11 times in a lifetime. Even if you’re about to make it an even dozen, you could be forgetting some of the most essential tips and tools. You have the boxes. You have the packing tape. Did you remember your friends and reinforcements? Your things are going to add up. Even when you think your collections are of a reasonable size, moving can reveal the sheer number of belongings you have. Instead of only packing box after box, invest in some vacuum seal bags. They’re easy to use, they’ll save you space and you’ll be relieved with a dozen fewer boxes to carry inside. When moving day arrives, you’re either cognizant of what goes in every single box or you’re simply happy to see everything fit into the moving truck. If the latter is the case, it’s probably best to rethink the method to your madness. Don’t forget markers and labels, or even a few strings, to attach to things you need organized. Just when you thought you were clear of any mishaps or challenges, there are countless boxes to open and unpack. Instead of reaching for your new house key to rip open the boxes, invest in a box cutter. This handy tool will keep you efficient and can prevent injury from less effective cutting tools. 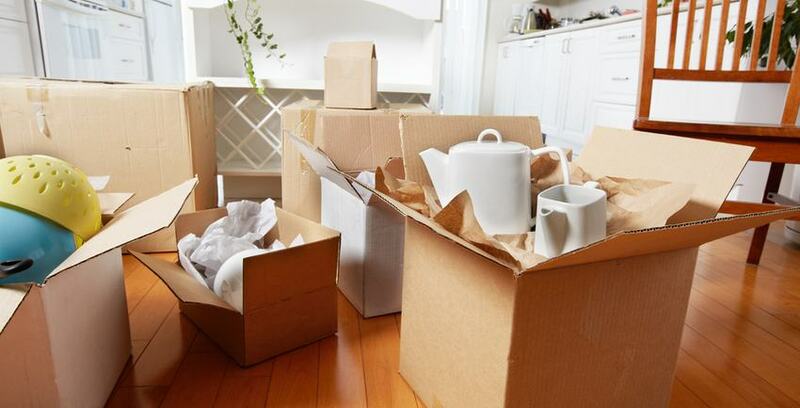 Be careful when you’re using and storing it, though — it’s easy to make mistakes when you’re going through a whirlwind moving day. Even if you carefully set your picture frames in boxes and cautiously carry them from place to place, you could be in for a surprise. Moving damage is more common than you think, but finding a few edge protectors for frames and other items will keep them safe in transit and even save them from damaging other things. You’ll be glad to have them when your valuable keepsakes come out pristine in your new place. It’s a good idea to protect your TV, too. But edge protectors may not be the answer to everything — a moving blanket will also lessen harm. Of course, you remembered the moving boxes. But did you remember the right kind of moving boxes? A plentiful supply of boxes will serve you well, but perhaps you should find a few different sizes in order to be most efficient. Use your best judgment, but don’t just assume you’ll only use one size. Are you in need of extra storage? Storage Direct can help! Our facilities are nationwide and we offer a variety of unit sizes to fit your needs. From document storage to climate-controlled options, there’s a unit that’s equipped to handle your extra things. Contact us today to learn more!